Home » national news » Sheena Bora murder mystery: sister or daughter of Indrani Mukerjea? Was #SheenaBora Indrani's sister or daughter? The Sheena Bora murder case has just gotten murkier. The main accused Indrani Mukerjea and her driver were arrested on 24 August in Mumbai for the 2012 murder of Sheena. The victim studied at St Xavier's College in Mumbai, and according to her LinkedIn profile, was employed with Reliance ADAG when she disappeared in 2012. She was 24-years-old at that time. The Telegraph first reported that Indrani's relatives confirmed to the paper that Sheena was actually her daughter. The accused also has a son from a "relationship with a person who divided his time between Kolkata and Tripura". Later, Indrani married a man who had businesses in Kolkata and Jamshedpur. The Telegraph reported that Sheena and her brother, who works in an airline now, were brought up by their maternal grandparents in Guwahati. The children eventually moved to Mumbai and Sheena did her graduation from St. Xavier's College there. 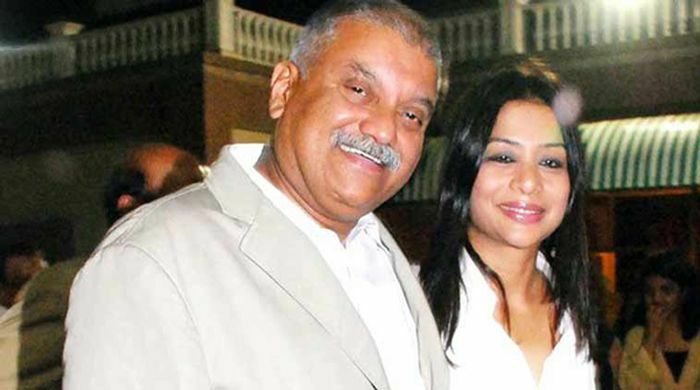 After Indrani married Peter Mukerjea- once a powerful man in the television business, Sheena moved in with the family. The family friend said Sheena, who was introduced as Indrani's sister, became close to Peter's son from an earlier marriage. It is not clear whether the alleged relationship played any role in Sheena's death. However, Tehelka reported that it may not have been this alleged relationship with the stepson that triggered Indrani to supposedly kill Sheena. A business angle could have been the motive. The Mukerjeas had minted a lot of money from INX media, a company they later stepped down from. To avoid suspicion, much of the money was transferred to their relatives' accounts. One of those accounts may have belonged to Sheena Bora, who later refused to return the money. Tehelka reported that a Singapore based company Temasek had invested in the the media company of the Mukerjea's and after the global recession, the media company was audited. During the audit it found that Peter and Indrani had made a lot of money from the company in the name of various family members, including Peter's brother Gautam Mukerjea. TWEET THIS Sheena Bora murder case gets murkier after strange conspiracy theories start arising Was #SheenaBora Indrani's sister or daughter?